Versify’s Portal Event Management software supports electric utility transmission and substation switching procedures by providing integrated Switching Orders, Switching Instructions and Isolation Point forms and workflows. The Occupational Safety and Health Administration (OSHA) specifies safety procedures for deenergizing electric utility transmission lines, substations and equipment for employee protection. This standard states any line, circuit or equipment may only be worked on after all of the deenergized requirements have been met. Otherwise, the work must be performed as if the equipment is still energized. This is to ensure the safety of the technicians and workforce in the field. Utilities must comply with switching procedures for transmission outages and deenergizing of transmission assets that they have developed based on the OSHA standards. 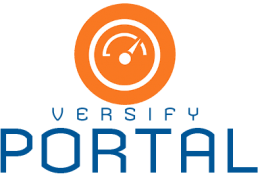 Versify’s Portal Event Management software offers electronic versions of Switching Orders, Switching Instructions or Isolation forms that are integrated with Versify’s Transmission and Generation Outage Management Systems. The OMS software provides for outage scheduling, outage planning and submission to third parties for generation assets, transmission lines, equipment and assets. The electronic forms and workflows may be configured to meet unique customer requirements and tailored to specific equipment or configurations. System operators and field crews are required to work closely and interactively to ensure the safety of the field crews. The detailed steps of the deenergizing and reenergizing process are configured using Versify’s Switching Order control. Each switching event is stored in Versify’s digital logbook with the complete audit history of the steps followed. Additional information can to be recorded in the Switching Order as needed or specified by the client’s configuration. Clients can configure their own switching or isolation process and forms using Versify’s self-service form and workflow builder. This allows the flexibility for each customer to tailor the application to their process. Switching Order Templates can be pre-configured for each type of asset or location for quick retrieval with the correct instructions. Mobile devices such as tablets and smartphones can also be used in the field to view the switching orders, digital logs and events. Having a digitized version of the switching orders drastically improves the safety of the field technicians. It helps our clients to ensure compliance with regulatory standards and streamlines the switching, isolation, reenergizing and deenergizing process of transmission assets. Click to read the full press release! 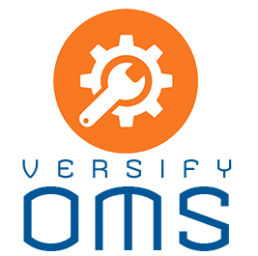 Versify’s OMS suite is intended to enable Idaho Power to automate much of the complex process of planning, approving, scheduling, submitting and reporting both transmission and generation outages. 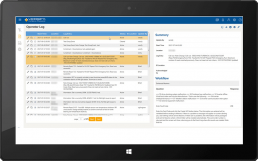 Leverage Versify’s PORTAL Event Management to digitize your forms and checklists using a form and workflow builder. Traditional paper documents, forms and checklists can be converted to an online form accessible by desktop and mobile devices. Mobile devices such as tablets and smartphones can be used by field technicians, operators/dispatchers and management. Engineers and technicians can view outage tickets, event details, switching orders/instructions and any type of form configured by your company. Workflows can be enabled to route work, event details and digitized forms between staff, departments and organizations. Schedule a Call with Versify to Learn More!